Hi friends, I’m going to ask you to do something a little weird for this recipe. I want you to put parsley in your smoothie bowl. Yes. Parsley. You read that right. It’s not just a garnish. By adding even just a tablespoon of parsley to your smoothie, you can give your body a super simple vitamin C boost. 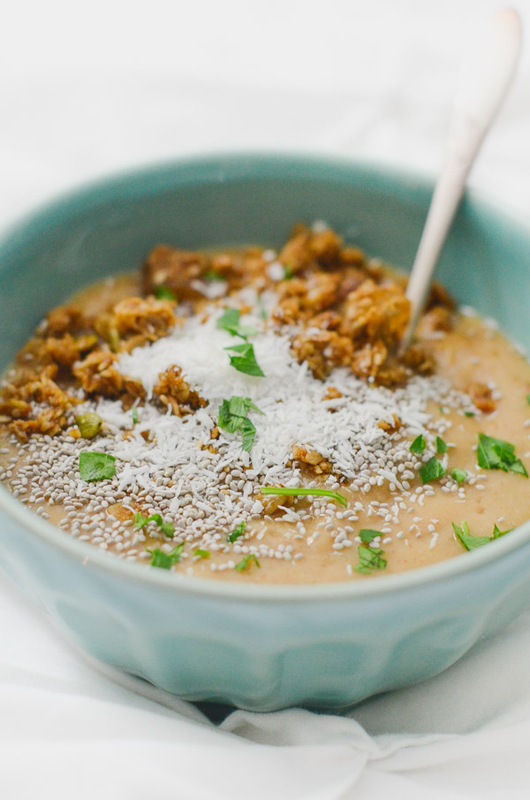 So yea, today I’m sharing a Papaya Parsley Tropical Smoothie Bowl Recipe. Note: This post contains affiliate links. If you make a purchase from one of these links, I may make a small commission at no extra charge to you. Please feel free to reach out if you have any questions. My family loves garnishing food with parsley. The green pop is quite pretty and really adds life to photos. But I learned something cool about parsley while I was researching healthy eating. Did you know it’s high in vitamin C? According to the USDA, one tablespoon of parsley can provide 8% of your recommended vitamin C while also having 0 fat and being only 1 calorie. Not bad, eh? So, can you taste it in this smoothie? I only added a tablespoon, and I didn’t really. Sort of like my advice when you’re just starting out making green smoothies, if you’re worried start small. Add a little, see how you like it and adjust going forward. 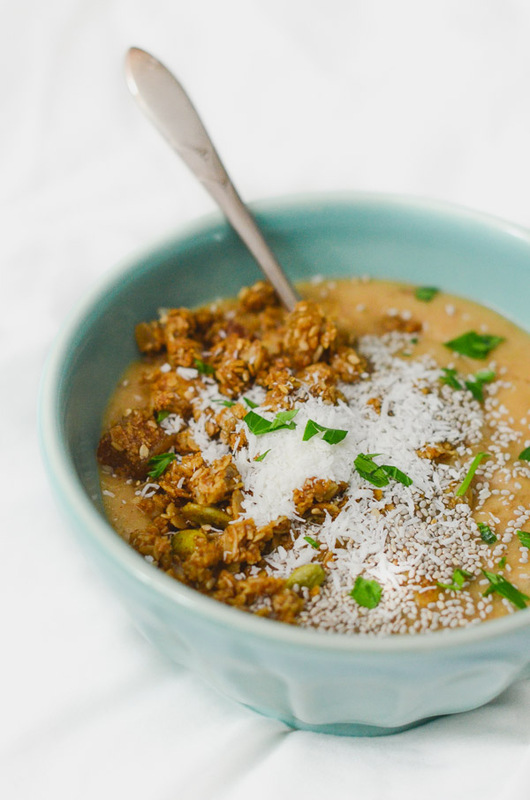 The pop of green on top of the smoothie bowl adds a fun twist to the typical toppings. But you can add whatever you’d like, of course. 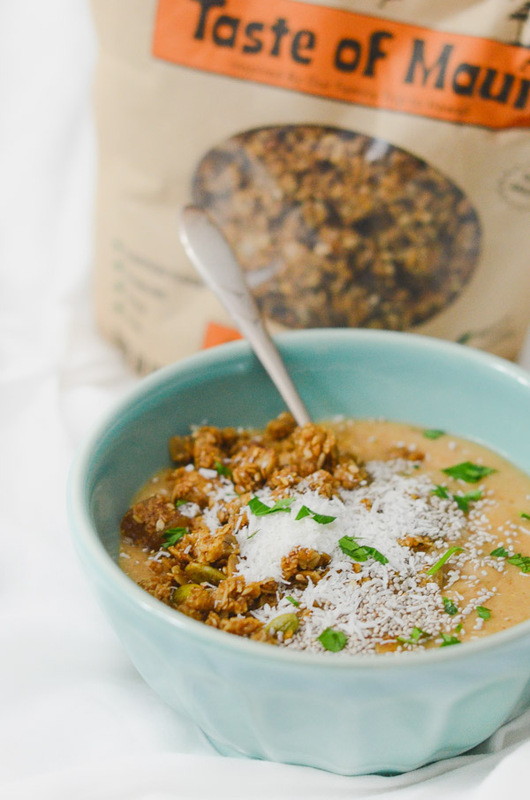 Have you guys tried this Naked Granola? My local grocery store recently started selling it, and I’ve been enjoying it. It has a slightly chewy texture, which I really like. 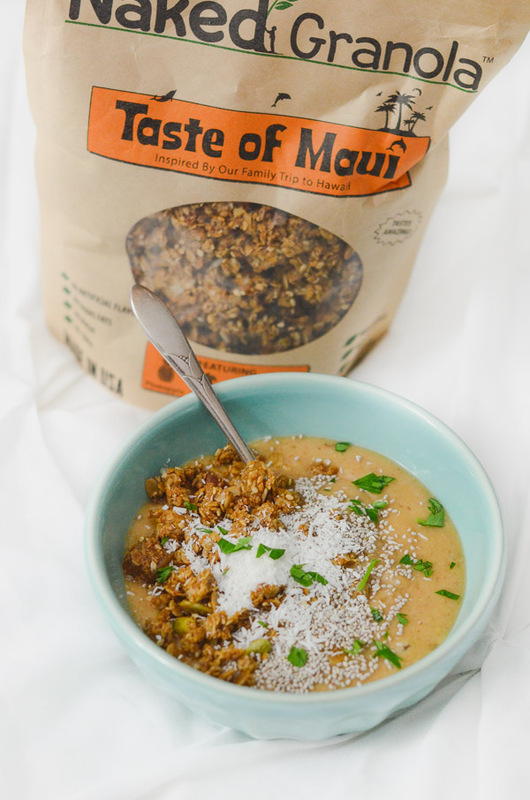 This Taste of Maui went really nicely with my tropical-themed smoothie bowl. Add a vitamin C boost with a simple handful of chopped parsley. 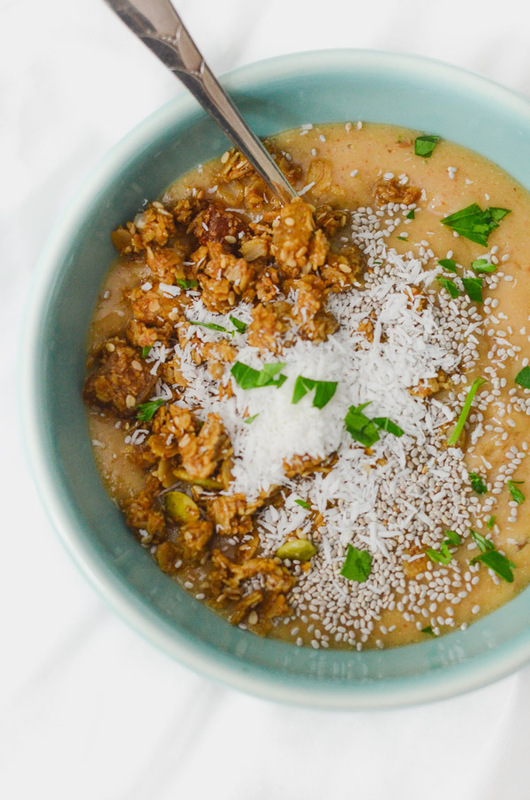 Papaya and pineapple give this smoothie bowl a tropical flavor to this healthy smoothie bowl. 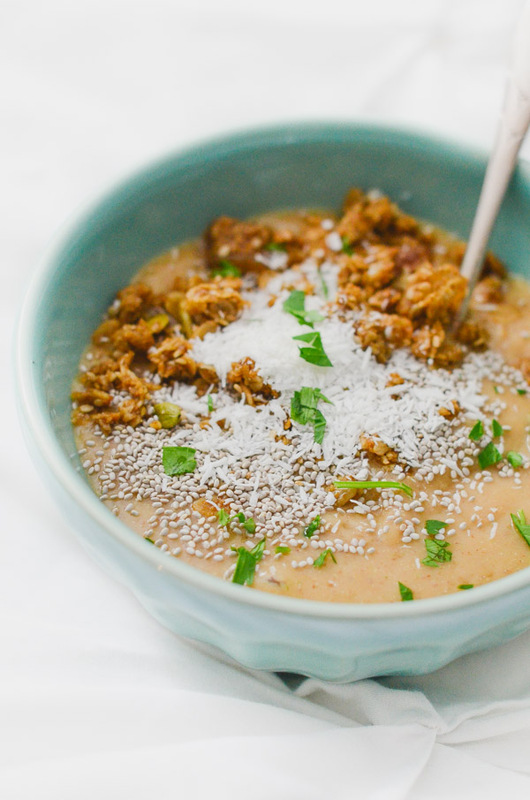 Place papaya, pineapple, coconut milk, flaxseed, and parsley in a blender. Blend until smooth, adding additional milk or water, 1 tablespoon at a time, to get the smoothie blending. Pour mixture into a bowl and add toppings. Enjoy! Note: Use any milk you’d like. The coconut milk helps play on the tropical theme. Thanks for stopping by! Hope you enjoy this Papaya Parsley Tropical Smoothie Bowl Recipe for an easy and delicious Vitamin C Boost!